There is a game at UCF this weekend. Therefore, we are changing the schedule due to tailgating parties. This is a friendly reminder of our weekend workout. Is it the adrenaline rush of the finish line? The discipline and structure of training? 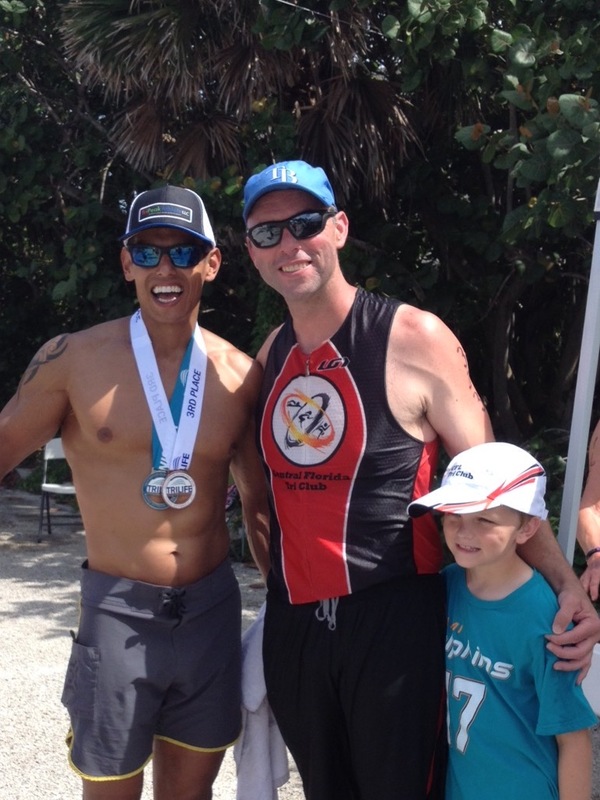 Or the sense of community you feel from fellow triathletes? 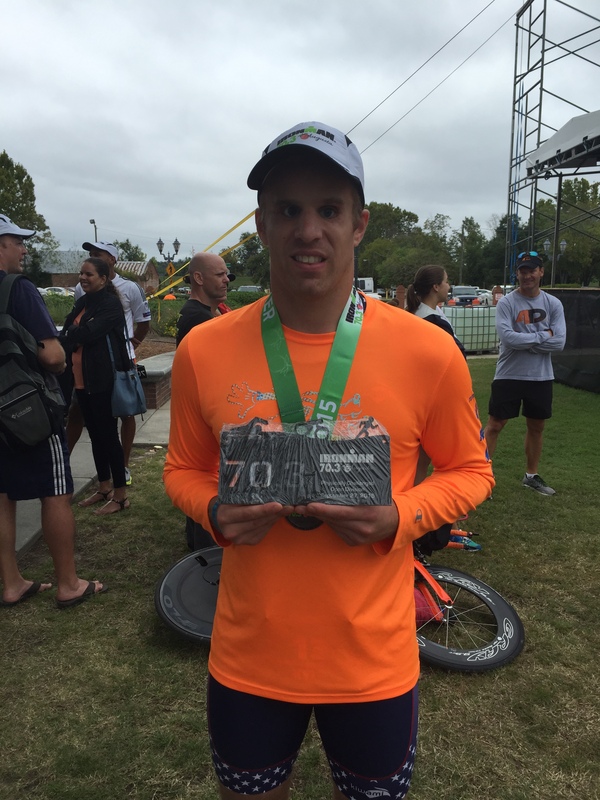 Maybe it’s a little bit of everything that makes triathlon so indescribably addicting. Whatever your reason, we’re giving you one more! Make a decision in 2016 on what races you want to do. If it is a Olympic Distance or up to an Ironman Distance, now it is the time to start building your strengths and weaknesses! Many athletes from the club have races towards the end of the year and may others have started doing their Marathon training. If you need guidance on how to plan your training and how does the club can help, please reach out to me. Next weekend is the Great Clermont Triathlon, so many roads will be closed in Clermont. Therefore, we are going to be riding out of UCF this upcoming weekend again. Mark your calendars cause we are going to have a blast. Advanced Cycle, YMCA of Central Florida, NormaTec Recovery, David’s World Cycle, Track Shack, Rudy Project. I have been coaching for 13 years, and each time I see an athlete cross the finish line it brings me great joy of their accomplishments. As Coach and an athlete, I could understand the inner battles that we have when we are in the battlefield of race day. Therefore, keep on the good work and fighting out those inner wars that we have within ourselves. Keep up the good work! Shut up in There! What really goes in your head while you are running? The difference between a good run and a crummy one begins in your brain. If you believe a workout will be tough or if you focus on feelings of boredom or fatigue, your body will follow your mind, making it more difficult to have an enjoyable outing. The good news is this mechanism works in revers, too. If you can catch yourself in the act of negative thinking, it’s possible to turn your mind – and your run – around. The whiner: “I can’t believe how much long I have to run.” Focus on the next walk break or the next run segment. Look forward to the next tree or benchmark. The Inner Lazy Man: “I’m too tired.” Try repeating positive self talk. The Inner Snail: “I’m too slow.” If you don’t push yourself, you won’t get faster. Other runners may be doing speed work and working harder than you. Use that as your inspiration. Feed off their energy and pick up the pace a bit. Literally! In other words show up to practice! I am proud of you. Your hard work has paid off! I always love reading an article when it explemplifiues and supports what I preach. If you’ve ever sprinted to the finish of a 5k, you understand the importance of fast-twitch muscle fibers (even if you wouldn’t use those exact words). The power short bursts of speed, and an excellent way to develop that strength is with plyometric exercises, such as box jumps, jump squats and high skips. Runners who tackle longer distances or who never race at all also benefit from these challenging exercises. At the end of a long run or race, when slow-twitch muscles become fatigued, well trained fast-twitch muscles can take up the slack, allowing you to run longer. Therefore, when you’re coach tell you to do a specific exercise. Do it! Connor and Jamie Lynn! Thank you to all of the Tri Club members that were there to support them on this special day. We have a reputation to uphold; therefore it is important that we race and keep undefeated. 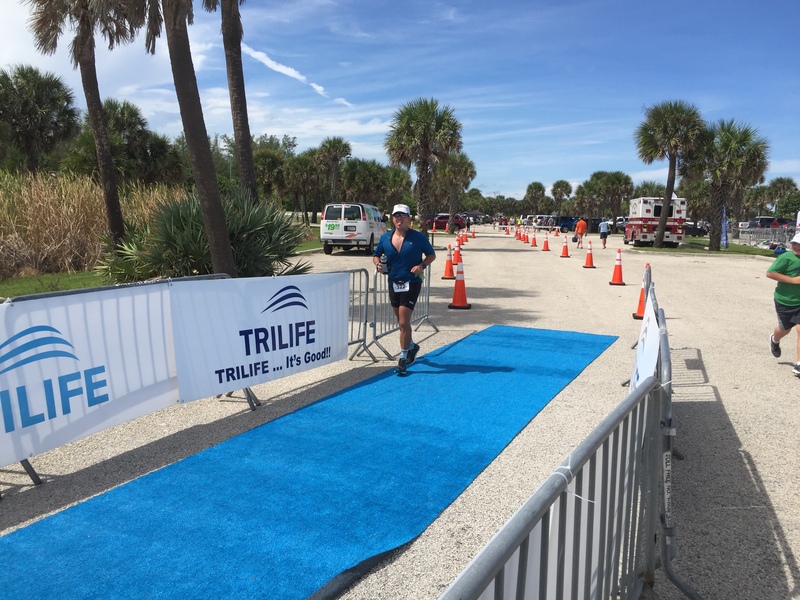 tClermont Sprint Triathlon. We are also going to have a club cook out and picnic. Also, keep in mind that the race is starting 15 min before schedule. We want to have as much representation as possible. BBQ and Cookout! I will make an announcement this morning and ask to who can bring what to the picnic. Please bring your family as we can literally get in the water this time. Many athletes are hitting great numbers while running or biking! However, when it comes race day you try to hit the same pace and power output… you just can’t get there. While training should challenge you, it’s not meant to test you in all of the same ways that racing does. If it does, you are racing not training. And if you race in training eventually you’ll plateau and won’t be able to match your best practice performances on race day. The athlete can be pushing themselves too hard in the training, pushing for faster times to show they are in greater and greater race shape. But, many athletes can be racing the training and on race day, they can race flat, tired and unable to come anywhere close to what their training suggested. Therefore, it is very important to follow your paces during training and don’t be going to hard. As you approach your next big race, don’t leave your race in training. Make racing special by saving your best efforts for race day. We are going to be doing a group trip for the Six Gap as a team. Please go ahead register and let me know. 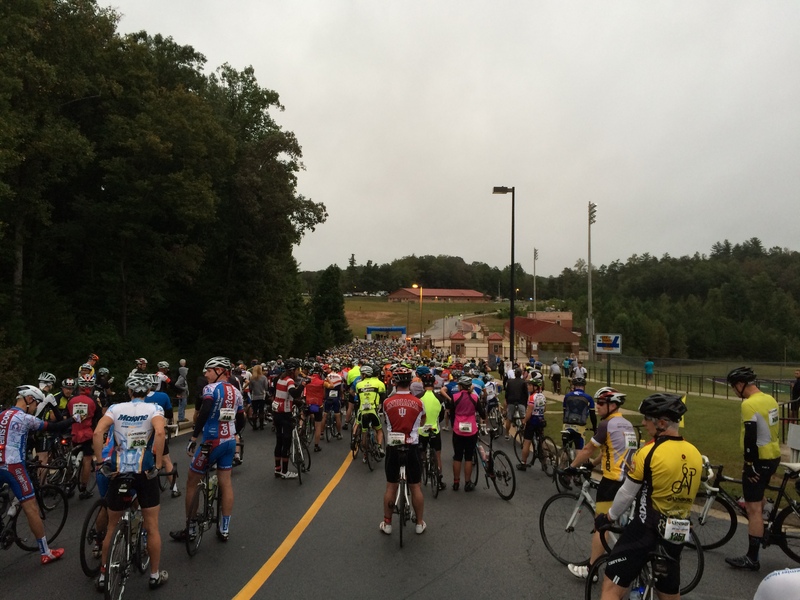 Coming on September 27, 2015 and taking place in Georgia’s Premier Cycling Venue, the Six Gap Century & Three Gap Fifty boasts many of the same roads and mountain climbs as the elite Tour de Georgia. Come ride the Ride of the Pros! The Six Gap Century’s ultra challenging route takes you up and down six of the steepest climbs in the North Georgia Mountains. Test your stamina with more than 11,200 feet of vertical climbing over the 104 mile course. Elevations for the six gaps in this ride range from 1,400 feet to 3,460 feet. The toughest climb, Hogpen Gap, will test even the strongest riders, averaging a 7% grade for seven miles, with sections as steep as 15%. 100 miles. 11,200 vertical feet. 3,000 friends. So there are rides for everyone. Bring the family and make it an event. As you are aware, I am racing Ironman Texas in 5 days. I am really looking forward to it. However, if you weren’t aware, The unthinkable has happened – a second major earthquake, this one estimated to be magnitude 7.1, struck Nepal early this morning. Devastated communities, still reeling from the April 25 quake, have suffered additional death and injuries, damage and destruction, making an already-desperate situation much worse. I am raising fund for the Save the children foundation, your help is required. Please donate at least $20 – 100 to help these children in need. Many children and families are now so traumatized they are afraid to enter buildings and are sleeping outside. This is especially worrying given that the monsoon season is due to start this month, which will put the health of babies and children at further risk. Save the Children is distributing desperately needed plastic sheets for shelter, as well as hygiene supplies and water purification tablets and household kits – all of which will become increasingly critical once the rains begin. Please help.